In recent weeks there has been speculation that the UK government would water down the Bribery Act. This followed recommendations from the House of Lords Committee for SME’s earlier in the year (which we always thought was junk in and junk out) and a story in the Financial Times. 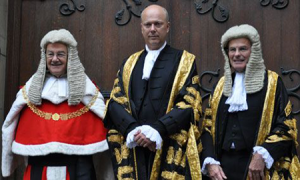 In an exchange of correspondence this month between the Bond Group a governance and democracy NGO and Chris Grayling the Minister of Justice firmly scotched any suggestion that the Bribery Act would be watered down. The recently announced training initiative of the City of London Police and the BSI around the Bribery Act and compliance squares neatly with this. Interestingly the City of London Police approach contrasts with the SFO’s position. The (not so new) SFO Director’s view is that the SFO is a prosecutor and not an advisory service for corporates. He has previously said that in his view there is plenty of guidance out there already and advising those still looking advice should talk to their advisers. In our view this is a shame, since it seemed to us that both sides gained from the dialogue. Of course the legislation is one thing. The real question is what the UK does with it now it has it. Recent reports indicate that there are plenty of active investigations. It will be interesting to see what, if anything, the UK law enforcement agencies do in the wake of the highly public allegations involving GSK which have appeared in the media. The full reply from Chris Grayling, Minister of Justice, below.